National Security Advisor to Donald Trump, John Bolton, has said the International Criminal Court (ICC) is “dead to us” in his latest speech. He labelled the court as “illegitimate” and “for all intents and purposes, the ICC is already dead to us.” Mr Bolton was speaking at a meeting of the Federalist Society, a conservative group based in Washington DC, said the ICC “ineffective, unaccountable, and indeed outright dangerous”. The court, established in 2002 in The Hague, Netherlands, has the power to prosecute individuals for war crimes, genocide, and crimes against humanity. The US never ratified the Rome Statute which established the court and Mr Bush, in the early days of the ongoing war in Afghanistan, never ratified it. Russian officials to meet with John Bolton next week, says Kremlin The court is getting ready to investigate detainee abuse in Afghanistan, an investigation Mr Bolton called “utterly unfounded,” adding: “We will provide no cooperation to the ICC”. The former US Ambassador to the United Nations under President George W Bush went on to say the “central aim of [the ICC’s] most vigorous supporters was to constrain the US”. Mr Bolton said the court’s statute had “glaring, significant flaws” and “constituted an assault on the Constitutional rights of the American people and the sovereignty of the US.” He also acknowledged his hecklers as Code Pink, an international charity which works to end US-funded wars, his “friends who follow me” everywhere. 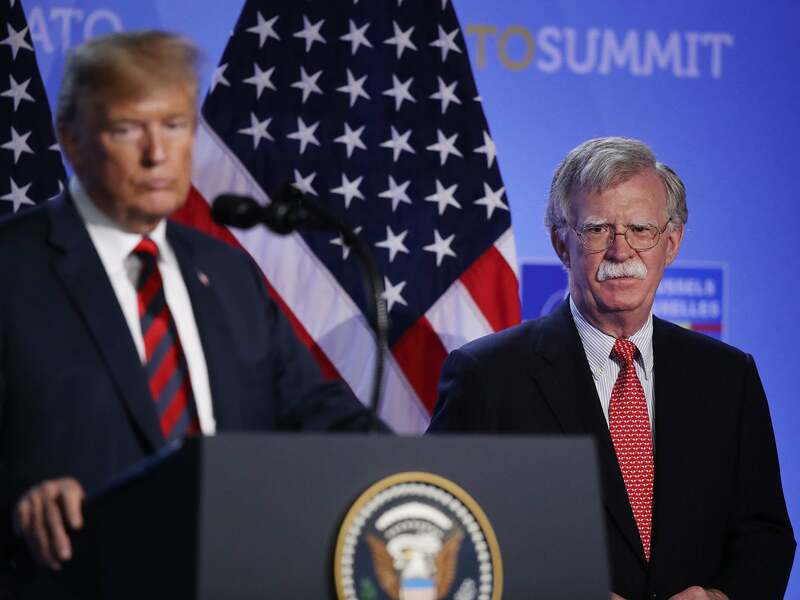 Mr Bolton, following a trend in the Trump administration of criticising multilateralism, branded the ICC as a “freewheeling global organisation governing over individuals without their consent”. He claimed American “soldiers, politicians, and private citizens” are at risk because the court assumes the automatic right to prosecute over everyone, even in countries which did not ratify the Rome Statute establishing the court. Israel, Sudan, Russia, and the US under Mr Bush, are four signatories of the statute who renounced their signatures and informed the UN they would no longer be subject to the legal obligations under the statute. Mr Bolton said the US’ “unsigning” of the Rome Statute was meant to protect Americans from the “unacceptable overreach” of the court.